32' ShockStrap Ratchet Safety Strap Now Available! 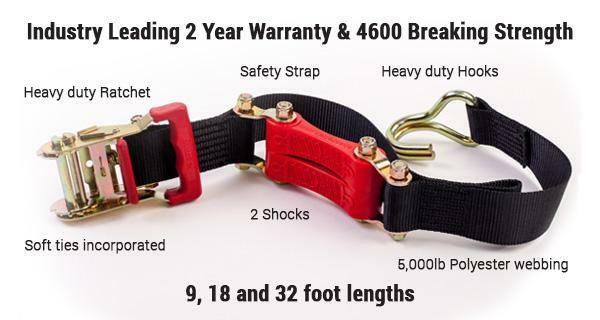 Sandy, UT - ShockStrap is proud to introduce their new 32' ShockStrap Ratchet Safety Strap with an industry leading 2 year warranty to their product line up. and stress everything you are trying to secure. The commercial grade ratchet has an outside release for ease of use even with gloves on. It is bolted on so you can replace it in the future and keep your investment working. ShockStrap is made from our own formula and is not affected by most chemicals, sunlight, oil, salt water, fungus and moisture. The strength of our product is to make everything work together so that the ShockStrap maintains constant pressure on the strap when hitting bumps or having side pressure applied to it. You won't be pulling over every 50 miles or at a gas station break to retighten ShockStraps...EVER! Polyester webbing is used because it has superior attributes, it stretches less, is more resistant to rot and mildew, and has a higher strength rating and a softer feel in your hands. 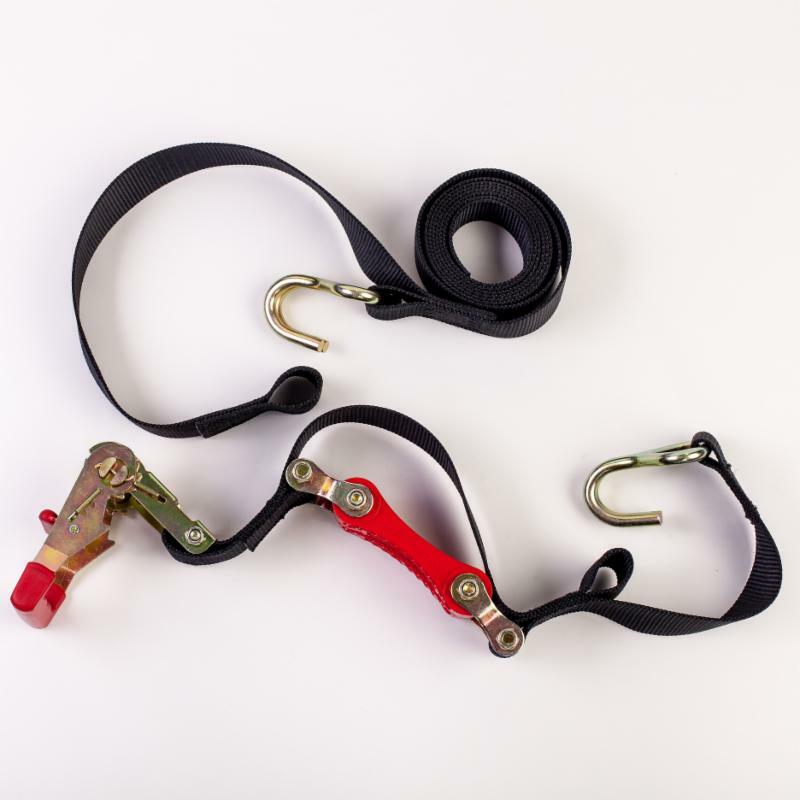 The 2" Polyester webbing has a heavy duty ratchet, a 5000lb breaking strength and the overall Ratchet Safety Strap has a 1533 lb. working load limit. We doubled the hooks and added yellow zinc chromate finish, which offers better weather resistance and durability compared to standard chrome plating. Next to each hook there is an integrated soft loop. This lets you use the soft loop when the hook won't fit so that you can wrap it around an axle or handlebar and pull it tight against the hook. DOT Approved-Working Load Limit of 1533 lbs. Available in black only in 9', 18' and 32' lengths for your BIG Toys!